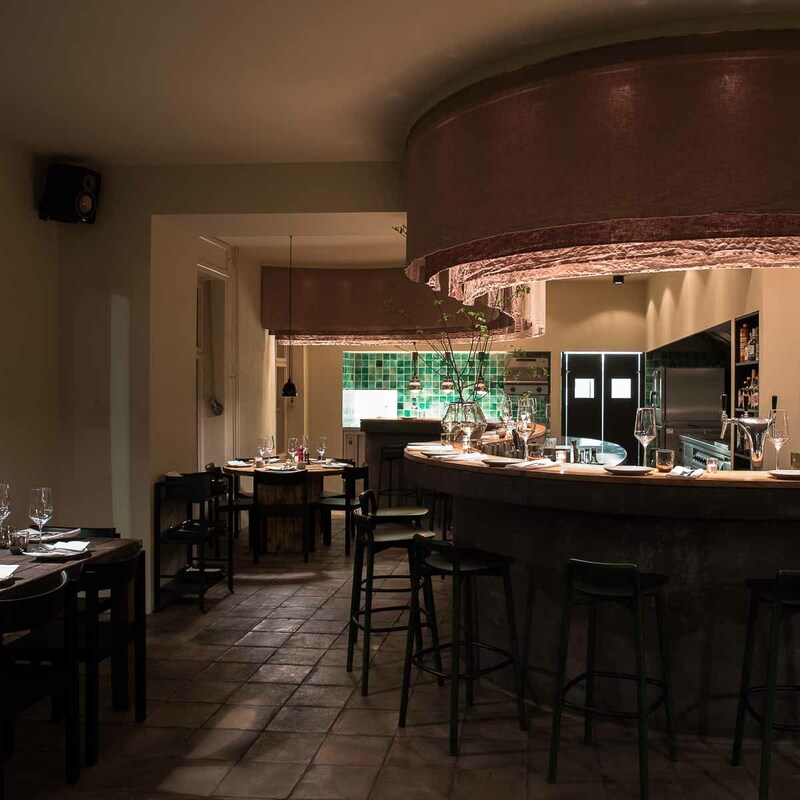 A wonderful new spot has opened in the deeps of Neukölln. Both from an aesthetic and culinary perspective. 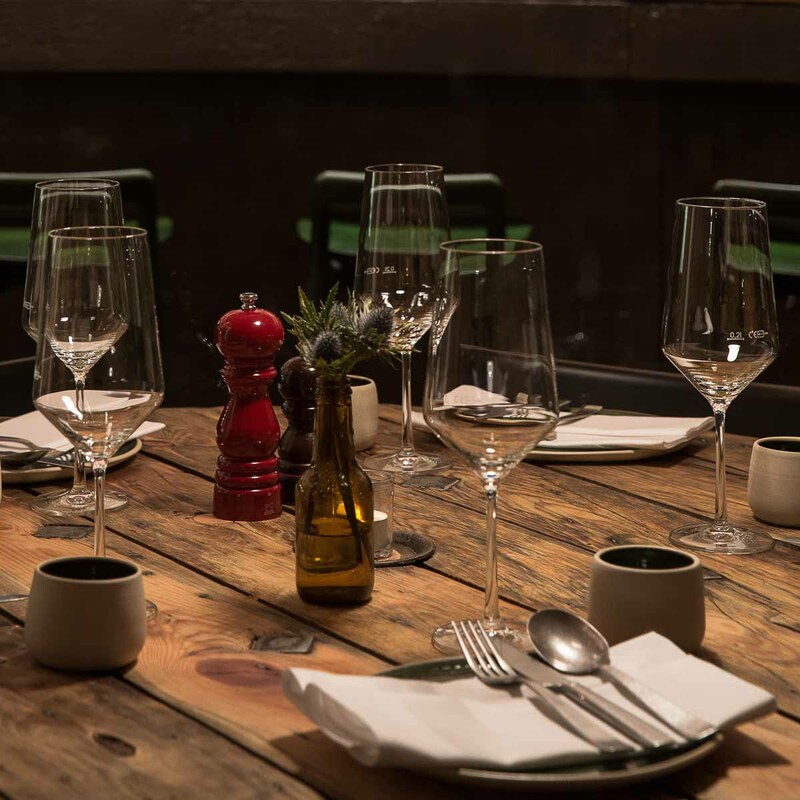 The restaurant, or better yet, the gastropub Tisk, is a truly special addition that in recent months has quite rightly become a bit of a well-known secret. The two designers Clara Walter and Raphael Danke carefully transformed a former apartment cornered between Neckar and Isar street into a feel-good sanctuary. Vanity is left at the door. It’s down to earth. Natural. Nice. 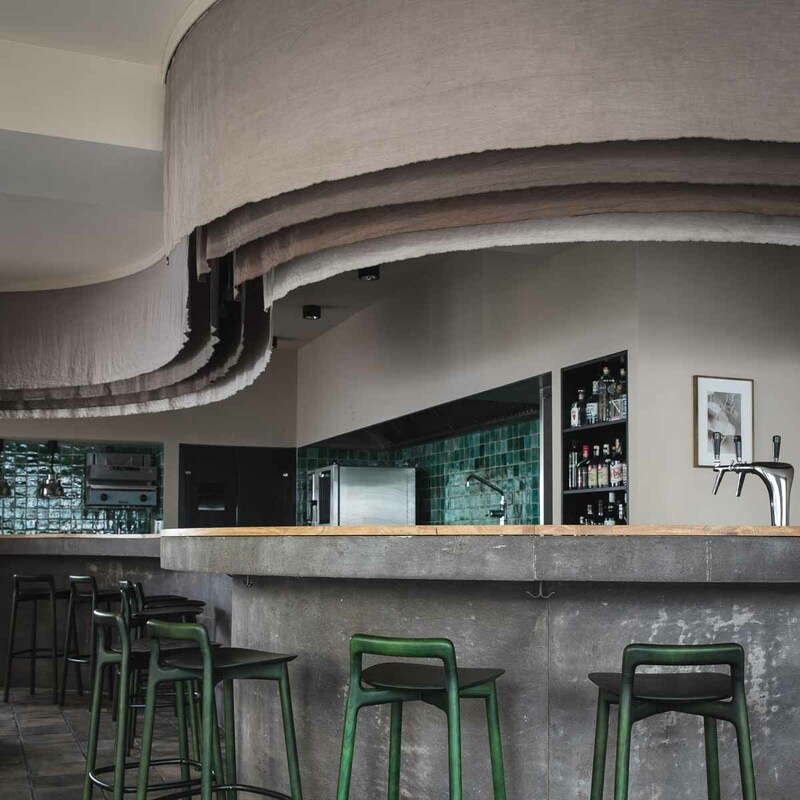 A long, curved counter expresses movement, bringing the dynamic of the young chefs into the space. 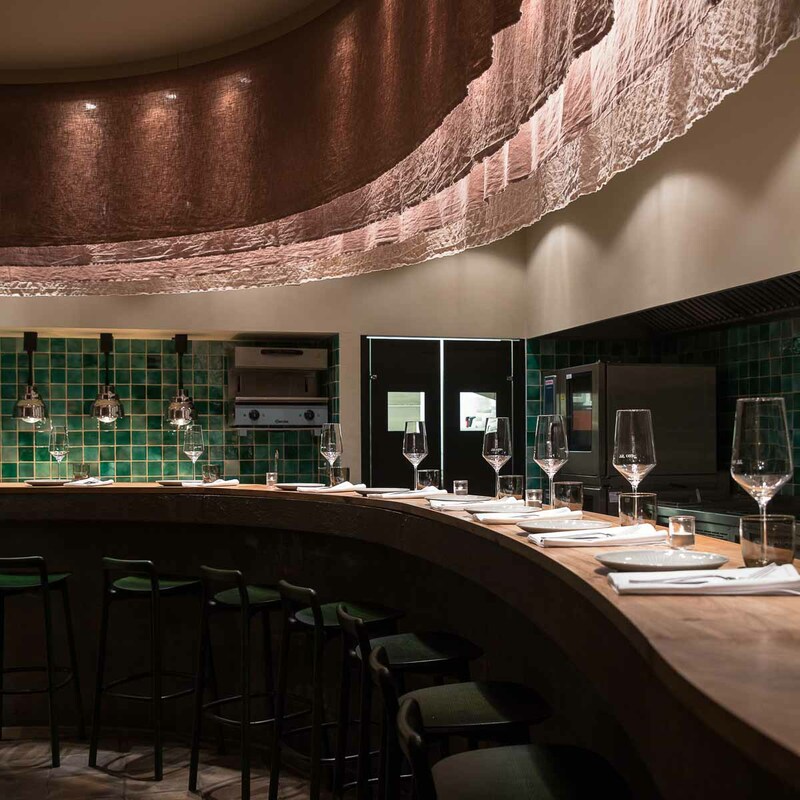 The linen-covered fabric panels on the ceilings above the counter pick up on this, which the design team coloured themselves in harmoniously-matched natural tones. 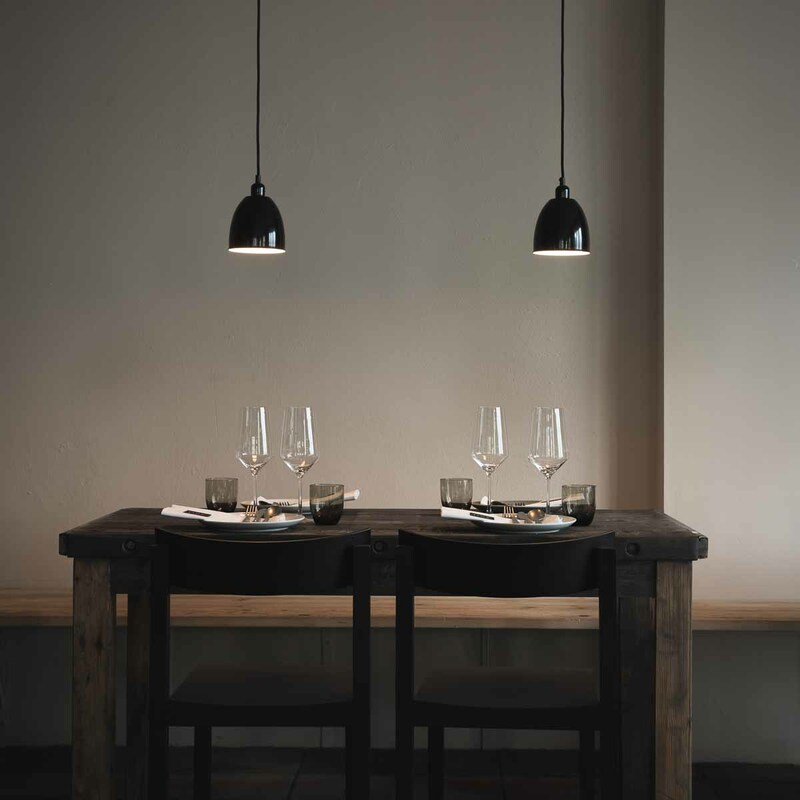 The natural, purist design is also reflected in the kitchen. 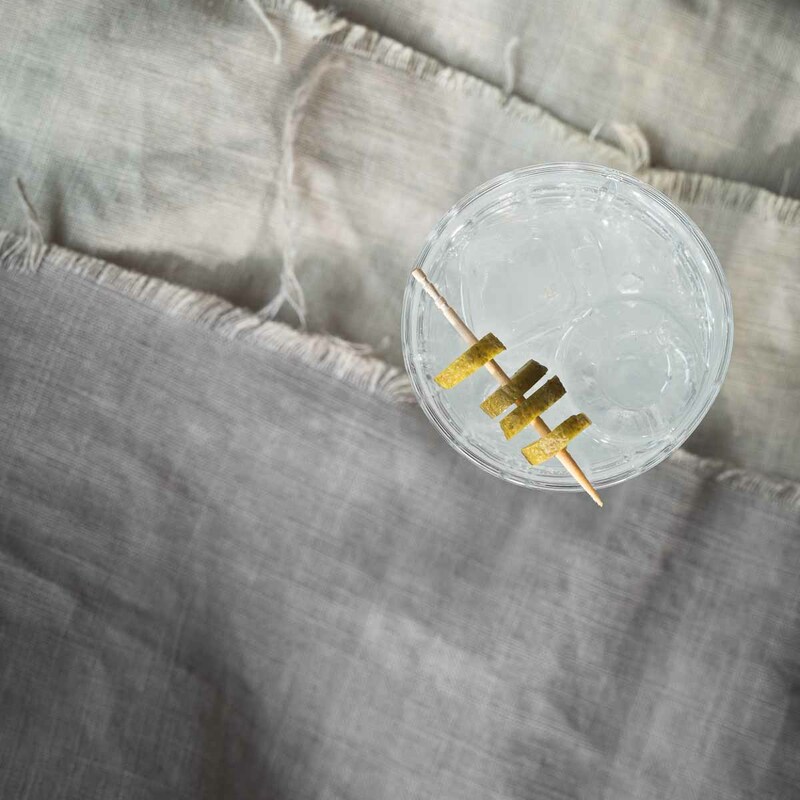 Embracing the "farm to table" movement, the two chefs Kristof Mulack and Martin Müller deliver highly-satisfying dishes matched to perfectly corresponding drinks. 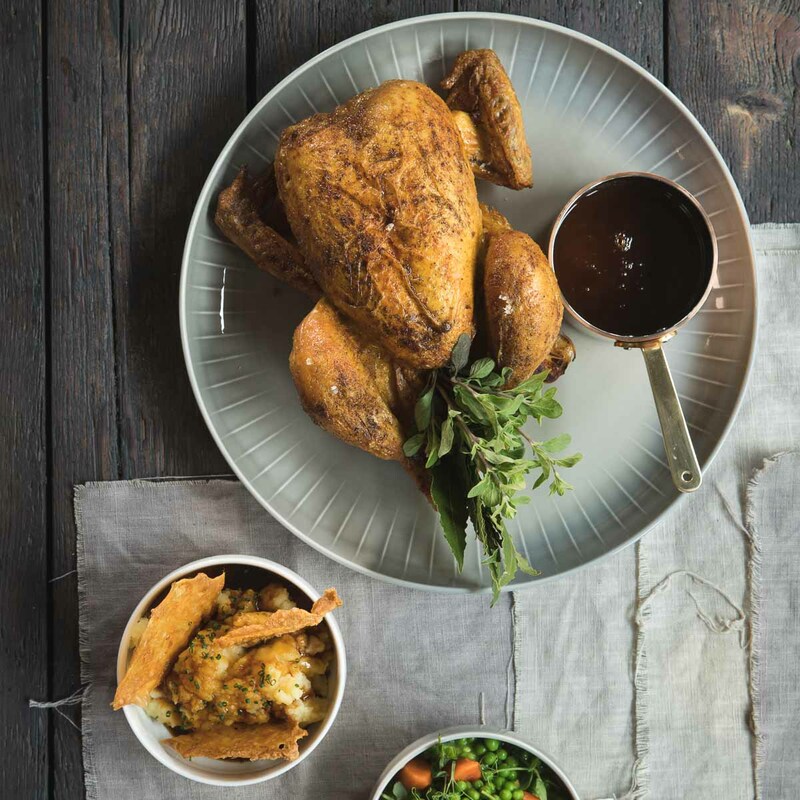 Our personal highlight on the menu is the whole "broiler" with brown butter, sauce and two sides of choice. 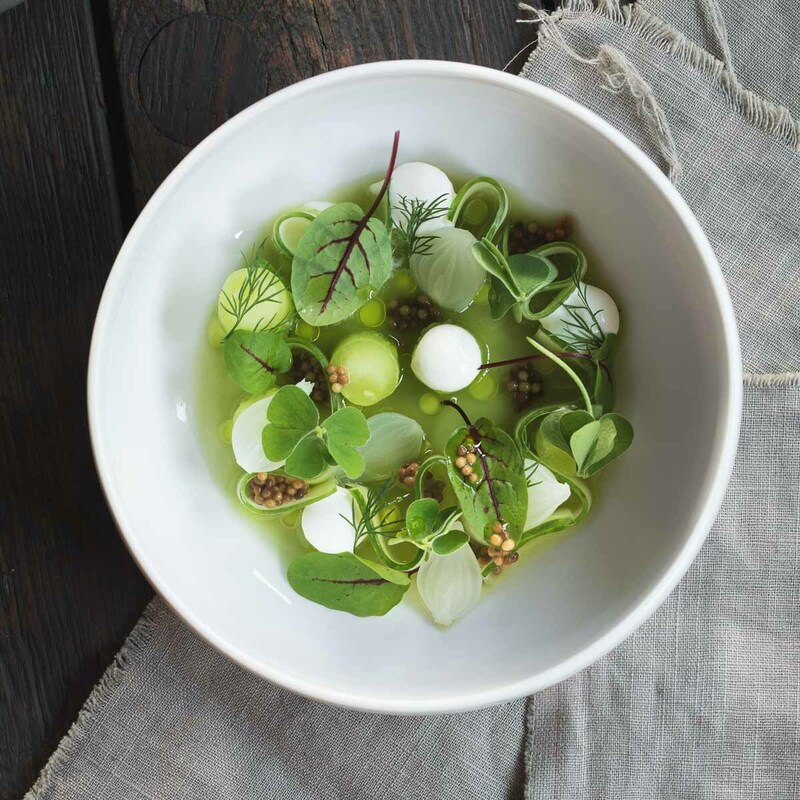 But we like to stick to the smaller pleasures, like the two black pudding croquettes on apple sauce, or the truly delicious asparagus salad with arctic char caviar, wild herbs and elderflower. As a main, Müller and Mulack serve up a dish of pork belly dubbed "Tellerjericht". Cooked souse vide for 24 hours. With a roasted cauliflower purée that’s been caramelised in milk, which really is to die for. Complemented by a celery salad and crisp pork skin for that perfect crunch – simply superb!